I have always loved the look of the thick chunky steel cuffs. They just invoke a sense of permanence and unyielding. I was absolutely desperate for a pair but I just couldn’t afford the price tag for a decent set, but never fear… DIY to the rescue!!! 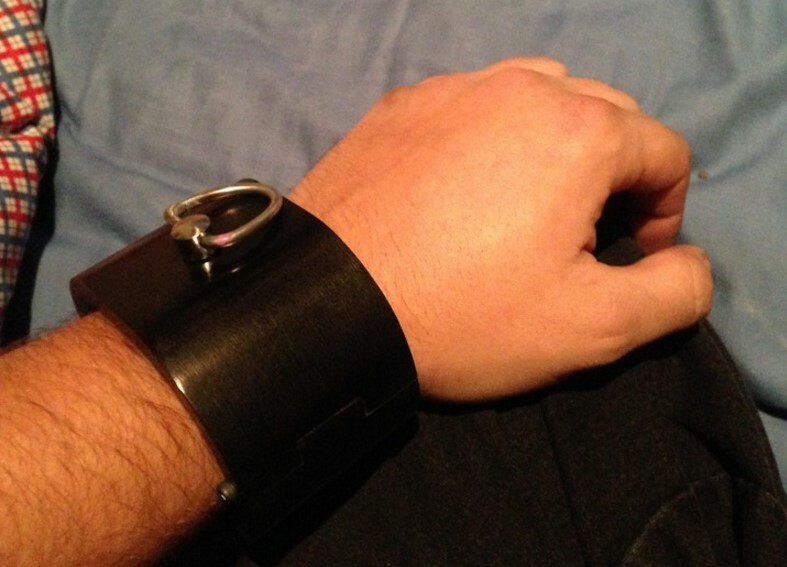 In order to be able to use the cuffs as a restraint, I needed a way to attach a D-ring to them. 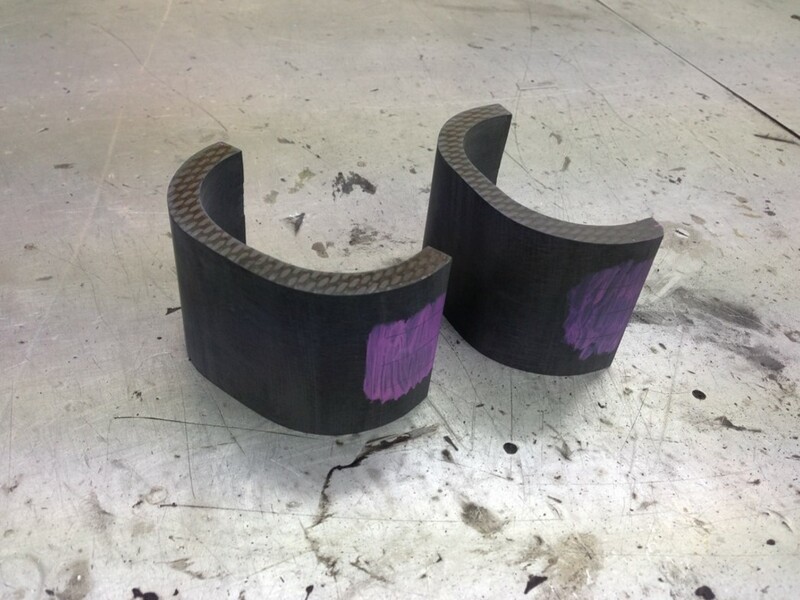 again I chose the simplest solution and glued a threaded insert into the carbon. I had a friend machine me a beautifully threaded insert then I completely failed to try to make a D-ring for it. You can see that I really struggled to get the shape correct. Next time I will definitely put some more effort into this part. I did, however, weld the D-ring closed once it was in the insert to give it strength. The advantage to the D-ring being removable is that other things can be screwed into place. you could thread the ends of a metal bar and voila, you have a rigid spreader bar. I do hope to come back and try this project again one day and create a better system for the cuffs. A hidden hinge would be the first improvement. I would love to find a discreet yet strong locking mechanism too. 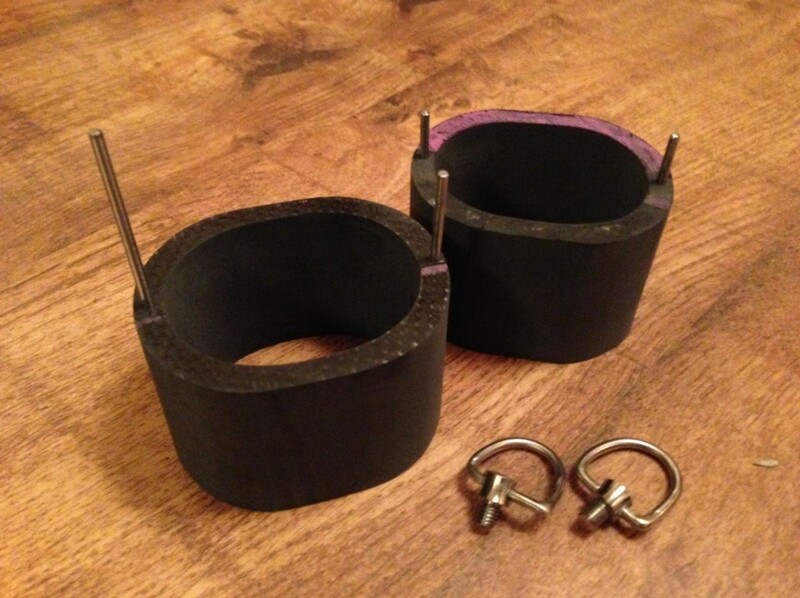 A set of accessories for the threaded holes would be a fantastic addition as well to make this a nice little set.